From time immemorial, the Japanese people have worshipped Kami—spirits that inhabit or represent a particular place, or embody natural forces like the wind, rivers, and mountains. Whenever a new settlement was founded a shrine would be erected for the spirits of that place to honor them and ensure their protection. It was believed that Kami could be found everywhere, that no place in Japan was outside their dominion. Shinto encompasses the doctrines, institutions, ritual, and communal life based on Kami worship. The ideal of Shinto, central to this study, is a construct in which a monarch rules through rituals for the Kami, a priestly order assists the sovereign by coordinating rituals, and the people who fulfill their obligations to the collective are in turn blessed by the Kami. Center and periphery join together in untroubled harmony through this theatre of state. 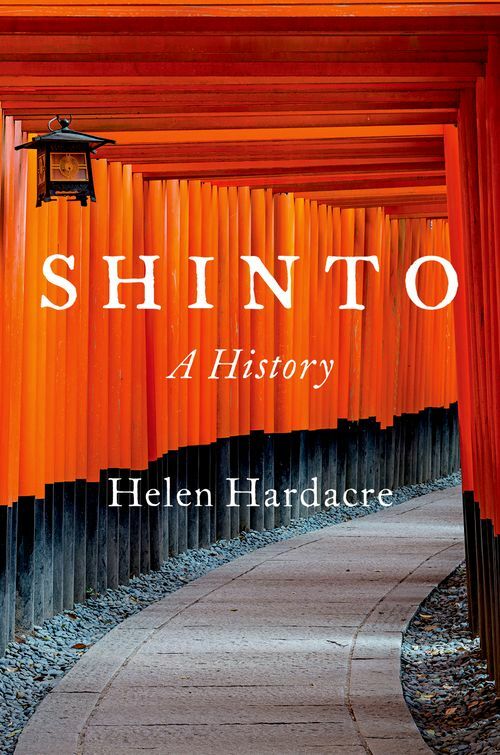 Helen Hardacre offers for the first time in any language a sweeping, comprehensive history of Shinto, which is practiced by some 80% of the Japanese people. The basic building blocks of this vast and varied tradition, she shows, include the related concepts of imperial rule and ritual, the claim that rituals for the Kami are public in character, and the assertion that this complex web of ideas and institutions devoted to the Kami embodies Japan's "indigenous" tradition. This study addresses the story of the emergence and development of these elements and the debates that surround them to this day. Because Shinto is centered on the Kami, it might be assumed that it is a religion, but Hardacre resists that assumption, instead questioning the character of the tradition at each stage of its history. She analyzes and deconstructs the rhetoric of Shinto as a defining feature of Japan's racial identity, inextricably woven into the fabric of Japanese life. This definitive study represents a first, momentous step towards a more developed understanding of Shinto. Helen Hardacre is Reischauer Institute Professor of Japanese Religions and Society at Harvard University. Concentrating on Japanese religious history of the modern period, she has done extended field study of contemporary Shinto and Buddhist religious organizations, the religious life of Japan's Korean minority, and contemporary ritualization of abortion. She has also researched State Shinto and directs a research project on constitutional revision in Japan.